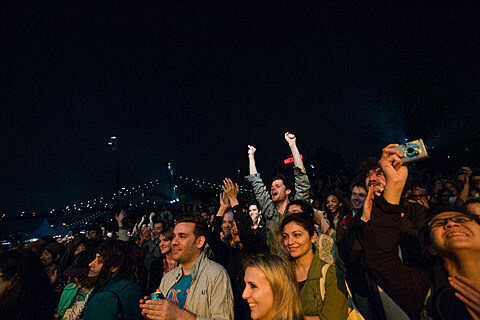 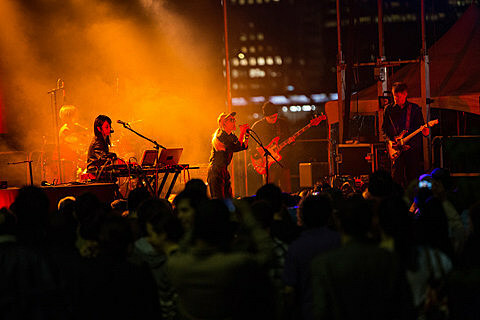 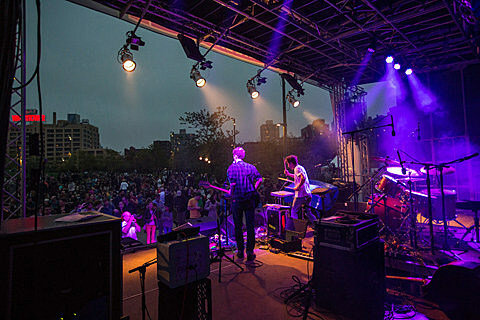 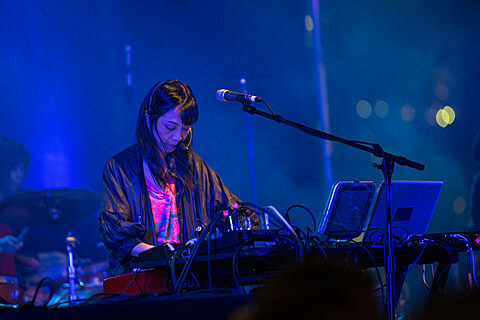 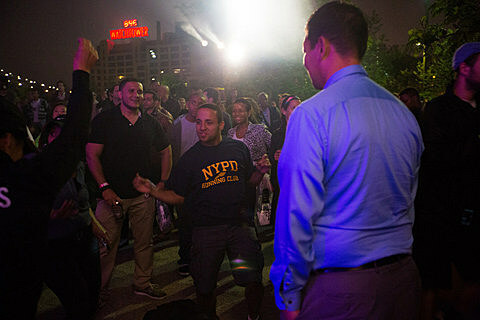 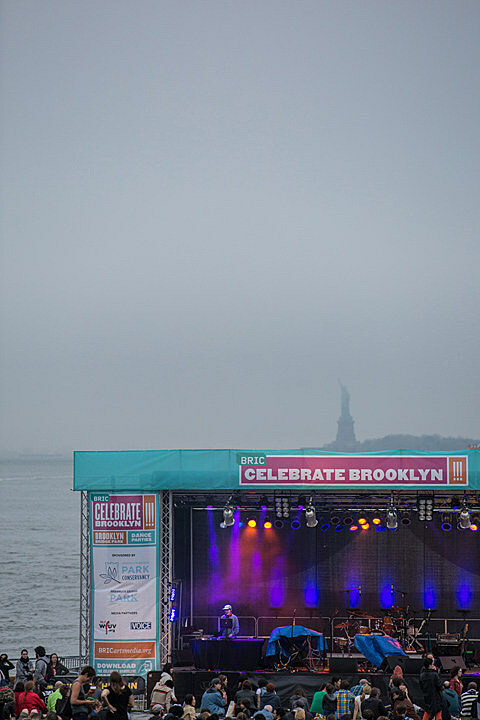 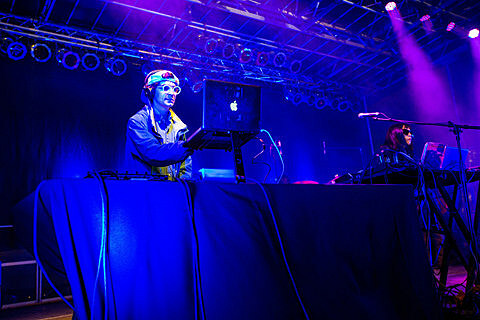 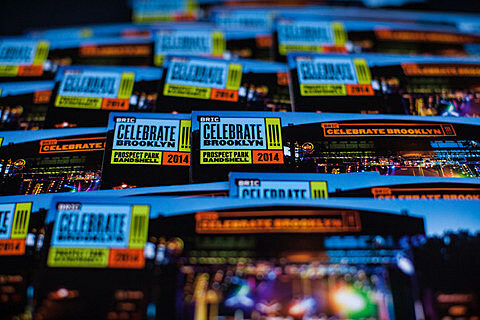 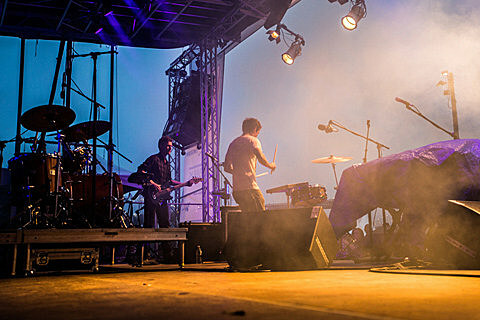 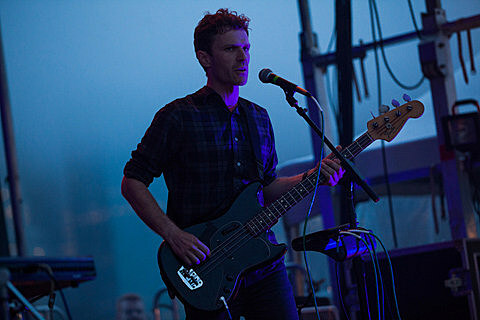 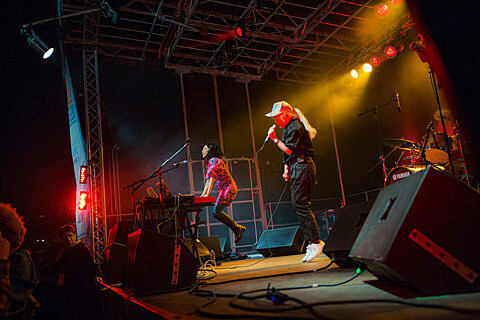 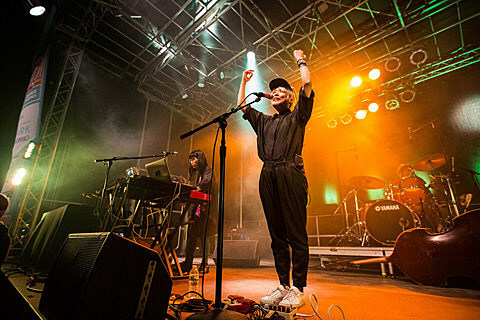 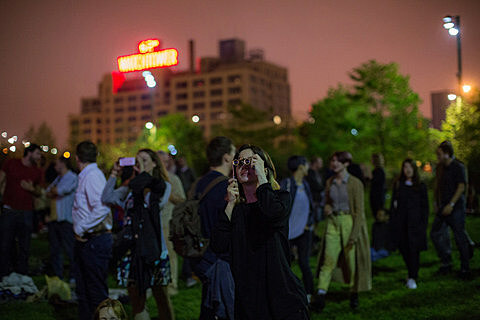 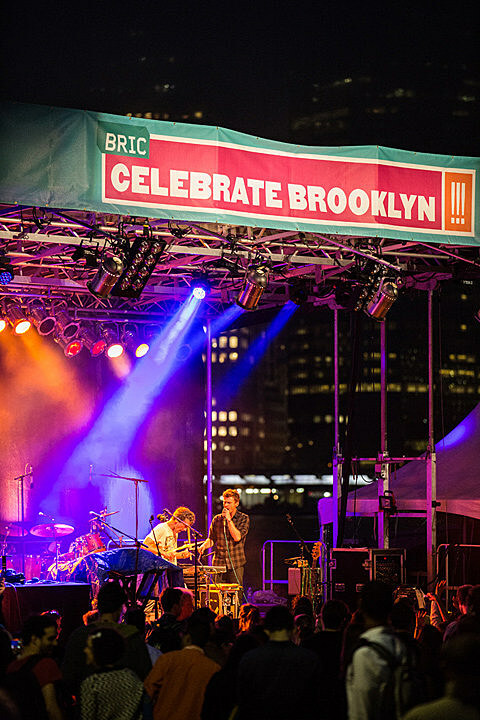 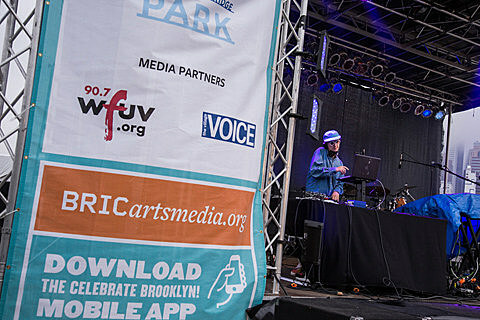 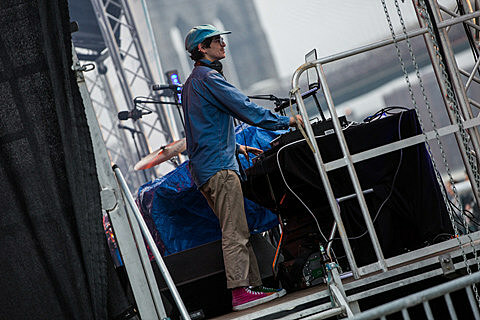 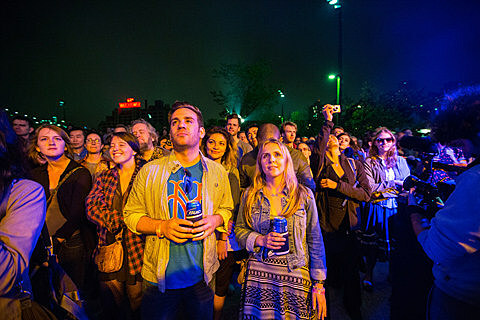 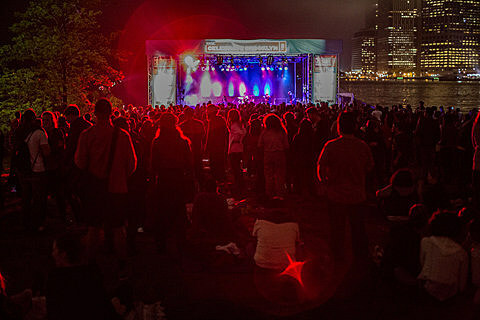 The free Celebrate Brooklyn Dance Parties on Brooklyn Bridge Park’s Pier 1 continued last night (5/15) with NYC vets Cibo Matto, Javelin and Le Tigre/MEN’s JD Samson. 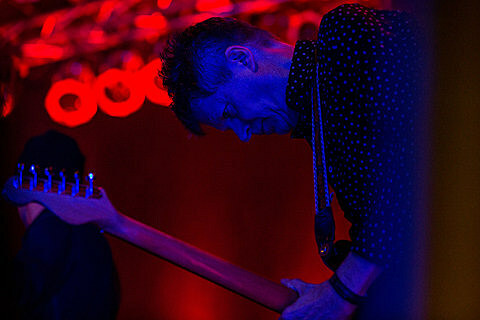 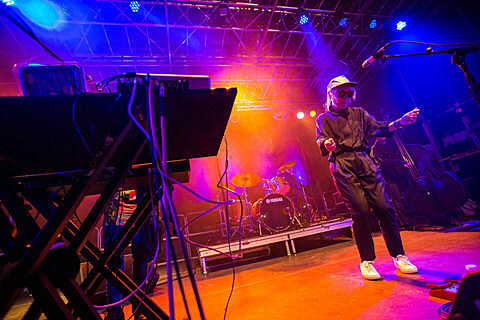 Cibo Matto, who are back with a new album and very active again, were joined by guitar great Nels Cline (who is married to Yuka Honda of Cibo Matto). 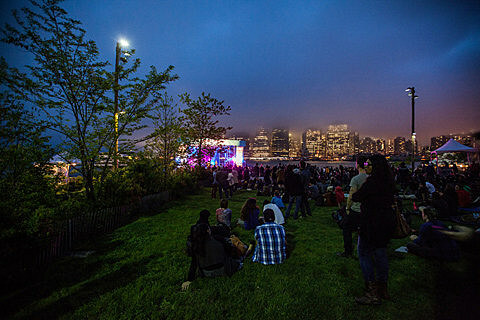 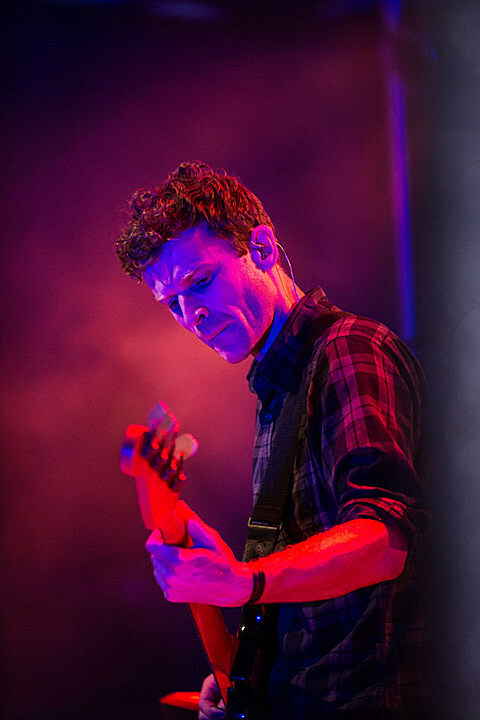 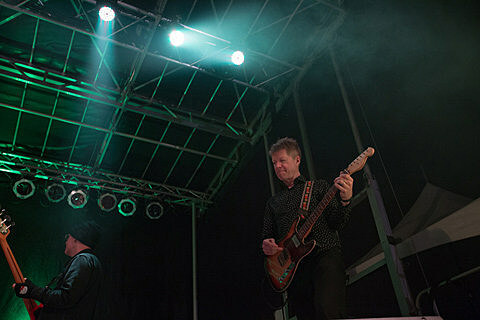 Pictures of the slightly soggy, kinda foggy evening are in this post. 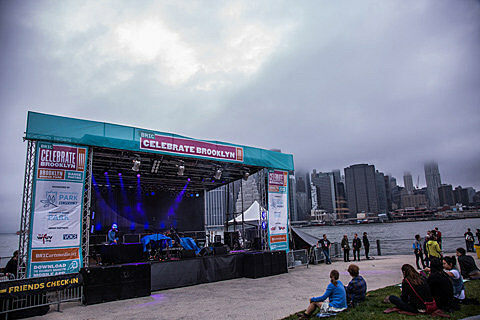 The Celebrate Brooklyn Dance Parties wrap up next Thursday (5/22) with Sierra Leone’s Refugee All Stars and others. 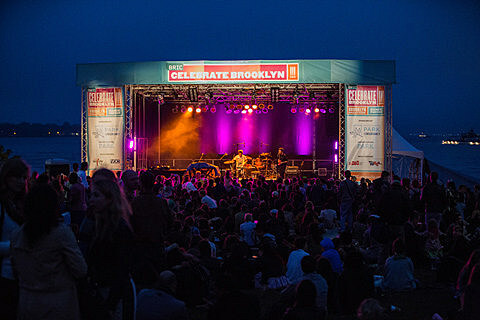 Celebrate Brooklyn in Prospect Park kicks off on June 4 with Janelle Monae and continues with many free (and a few not-free) shows through August. 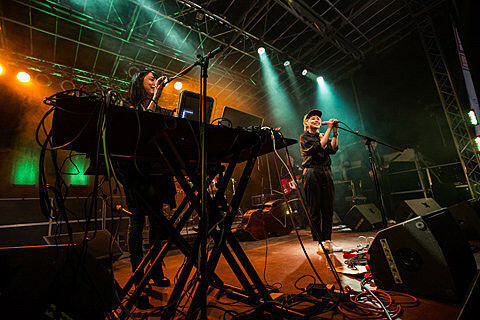 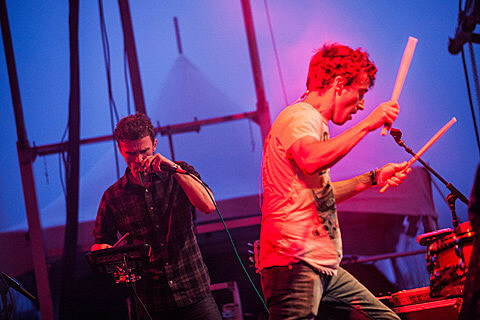 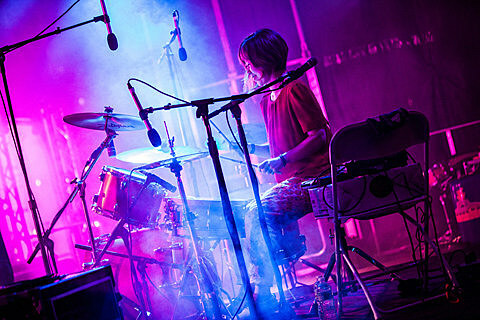 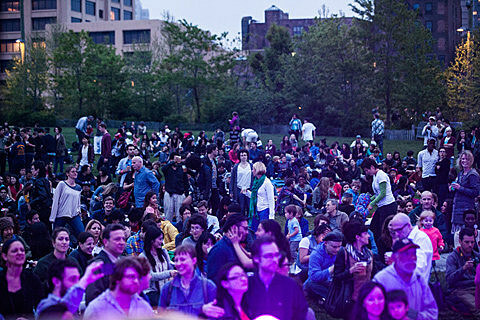 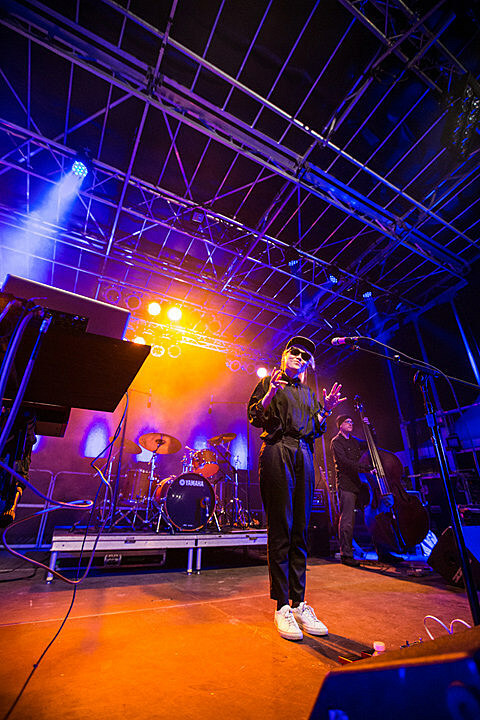 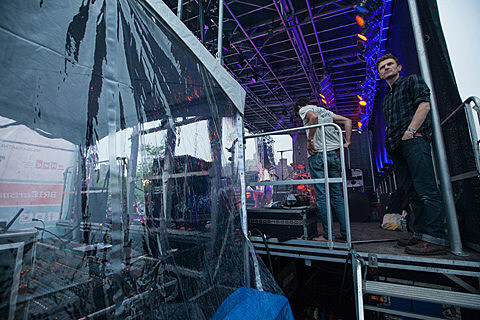 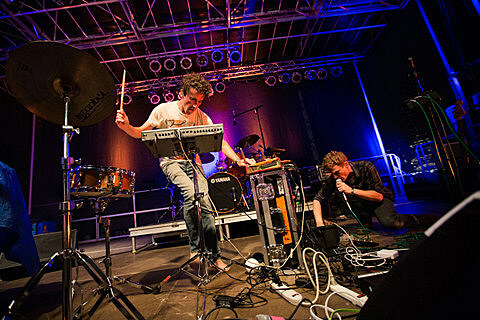 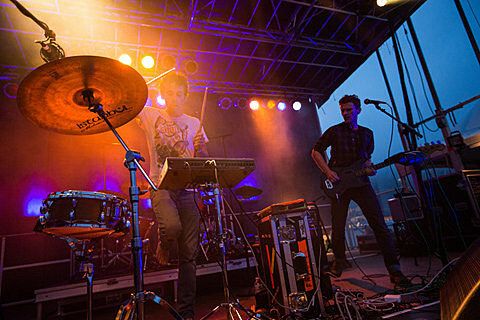 Cibo Matto also play another free NYC show at Central Park Summerstage on July 13 with Bonobo.